The Battle of France has begun. The German Blitzkrieg is scything across the French countryside. This week, we’re taking a look at the very tip of the spear – General Erwin Rommel’s 7th Panzer Division, the Ghost Division! When the German Blitzkrieg smashed through France and the Low Countries, its vanguard was composed of the vaunted Panzer divisions. Equipped with squadrons of modern armoured vehicles and accompanied by units of motorized or mechanized infantry, these elite units were designed to smash holes in the enemy line. Out of the 135 divisions assembled for the invasion, only 10 of them were Panzer divisions. 10th May 1940. Rommel and his newly-minted Panzer division drive into the Ardennes, blasting holes in the Belgian lines despite a heroic defence thrown up by the Chasseurs Ardennais. These green wolves would fight a series of tenacious delaying actions, but the mobility of the attacking Germans allowed them to bypass any centres of serious resistance and strike across the frontier into France. 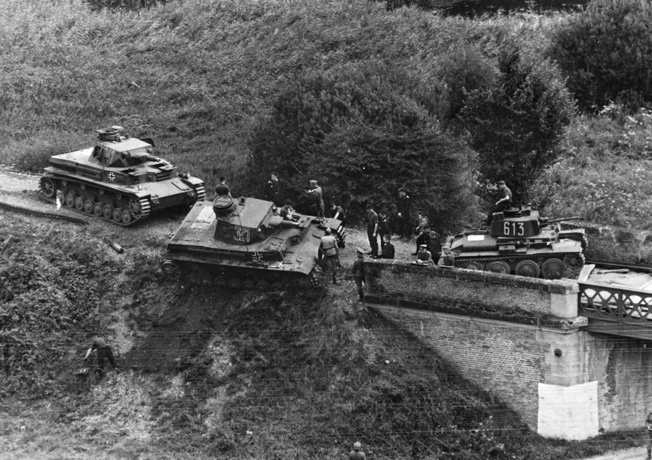 Rommel’s advance stalls when a Panzer IV bogs down. Rommel’s first major obstacle was the Meuse river, part of the 80km front line guarded by 9 French divisions. His rapid advance caught the French on the back foot, with the division’s forward most elements securing the eastern bank on the evening of 12th May. While the French had managed to destroy most of the bridges across the Meuse and establish commanding positions on the west bank, their defence was disorganised and slow to react. That night, elements of a dismounted motorcycle battalion forded the river using an old dam. Motorized infantry units crossed in force the following day, using rubber boats. Despite stiff resistance from the western bank, 7th Panzer’s infantrymen managed to break through. Despite his position as division commander, Rommel was never far from the front lines, urging his troops on, heedless of the risks. 7th Panzer Division on the move! With the majority of his division across the river, Rommel struck deep into French territory, crushing any resistance beneath the steel tracks of his tanks. 7th Panzer’s first engagements against enemy armour took place on 13th and 14th May, where they faced the 1st DCR (Division Cuirassee Rapide). The 1st DCR were equipped with Char B1 Bis heavy tanks, and Somua S35 mediums, both more than a match for Rommel’s Panzer IVs and 38t’s. Despite having a numerical advantage, 7th Panzer would have come off worse in a frontal assault. 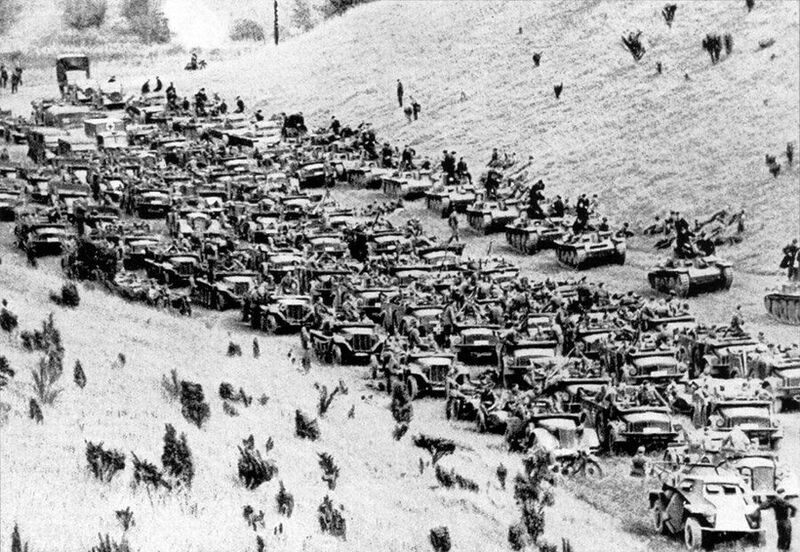 Unfortunately for the French, their logistics let them down and Rommel came across them while they were refuelling. The ensuing fight claimed two-thirds of the French tanks, as 7th Panzer closed at speed, turning the battle into the armoured vehicle equivalent of a knife fight. 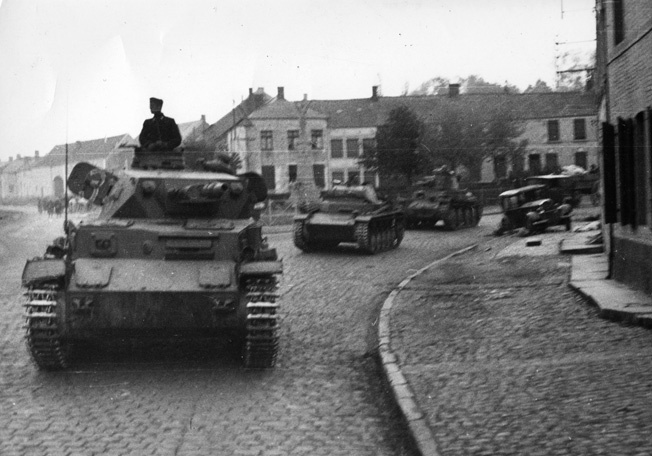 Rommel’s tanks roll through another French town. With the armoured threat neutralized, 7th Panzer continued its lightning advance. 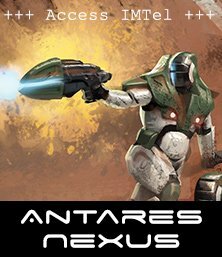 With the tanks and motorized infantry leading the way, the spearhead hammered 50 miles into enemy territory. Exhausted and incredibly short on ammunition and fuel, Rommel’s forces were incredibly vulnerable, but the demoralized French were in no state to mount an effective counter-attack. After capturing the town of Cambrai by deception, 7th Panzer took a day to recuperate. On the night of the 19th, they were back in action with an audacious night assault on the town of Arras. Despite a breakdown in communication between the tanks and their accompanying infantry, the French units defending the town were neutralized. Arras became the focal point of a combined Anglo-French breakout attempt, desperate to regain contact with their supply bases in central France. A narrow salient composed of Rommel’s 7th Panzer and Guderian’s 2nd Panzer penned the Allied armies in northern France. 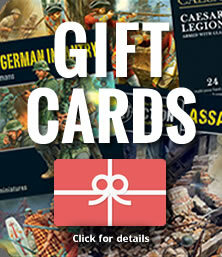 A breakout at Arras would stall the relentless Panzer divisions and give the allies some breathing space. At Arras, the formidable Matilda I and II tanks proved their worth. Despite the sluggish speed, the heavy armour on the Matilda rendered them impervious to the light anti-tank guns issued to 7th Panzer. Attacking in two columns, spearheaded by the Matildas, the British attack met with some initial success. Despite being slowed by refugees and harassing fire from the flanks, both columns of tanks and infantry successfully penetrated the German anti-tank screen, overrunning the infantry behind. The attack was eventually stalled by heroic artillery crews firing their 88mm and 105mm guns over open sights, destroying the British tanks at uncomfortably close range. Battered by heavy fire and plagued by mechanical problems, the British were forced to retire. After Arras, 7th Panzer continued its drive to the north, driving the demoralized French and British before them. Rommel’s reputation had been cemented by his decisive actions during the campaign in the west, characterized by bold, independent action and relentless tenacity in the face of the enemy. The extraordinary advance across France, combined with their almost supernatural ability to gain the element of surprise over their opponents earned 7th Panzer the “Ghost Division” nickname. Our brand new Battle of France campaign book is the perfect resource for recreating the Ghost Division. 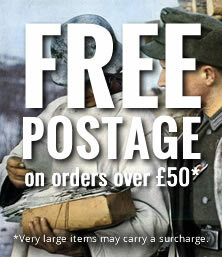 A brand new force selector for early war Panzer Divisions provides a thematic starting point for your early war army. We’ve also included a scenario to represent Rommel’s desperate defence at Arras, which pits an anti-tank gun platoon against the tanks of Frankforce. 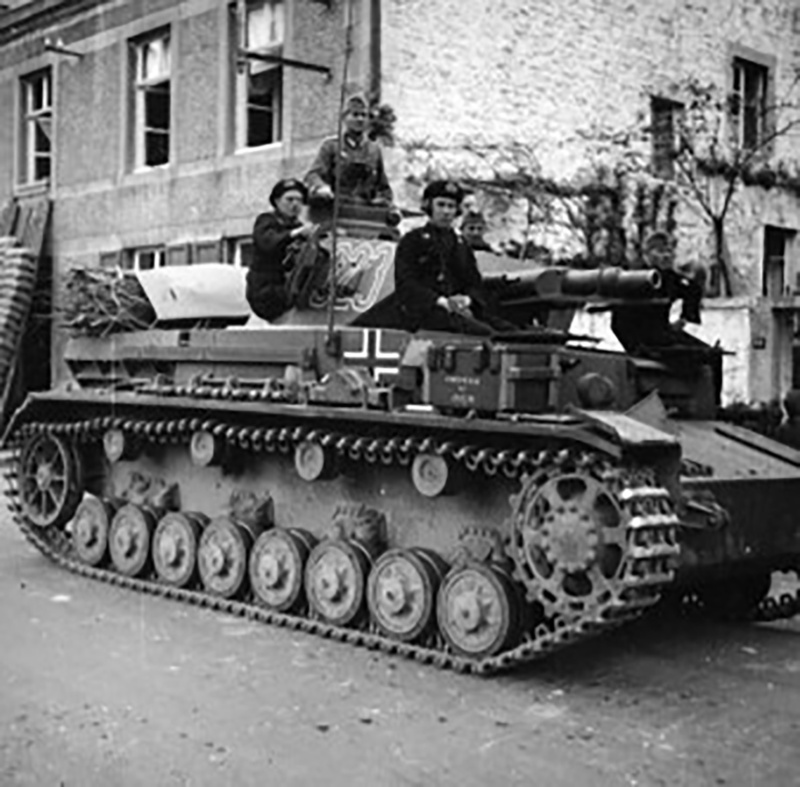 7th Panzer must hold out until an 88mm anti-aircraft gun can be brought forward, giving them the necessary firepower to stop the Matildas in their tracks. 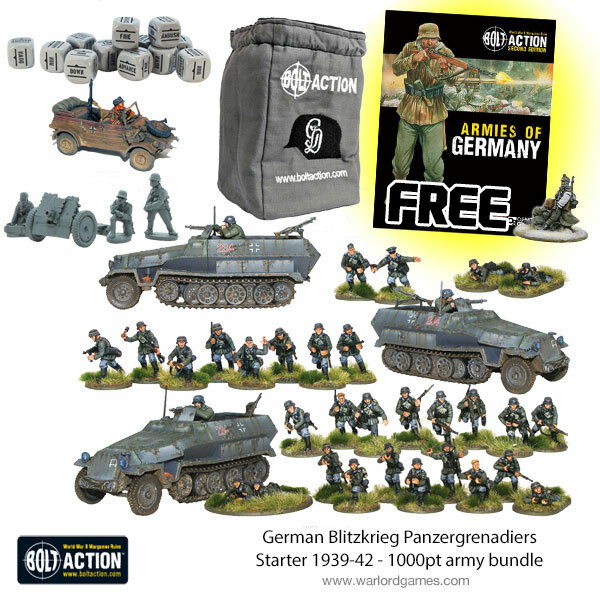 Start your 7th Panzer Division force with this excellent Blitzkrieg Panzergrenadier starter army, which includes the Armies of Germany book, a pack of order dice and a dice bag! 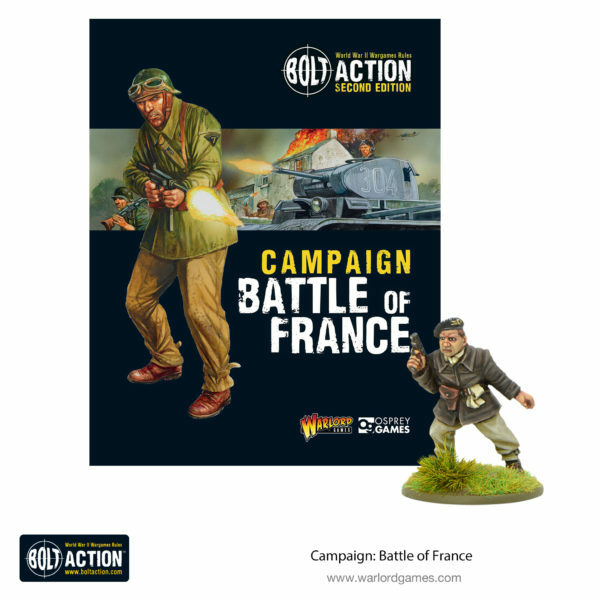 Pick up the new Battle of France campaign book in the web store today!